You know what they say: there’s no second chance at a first impression. 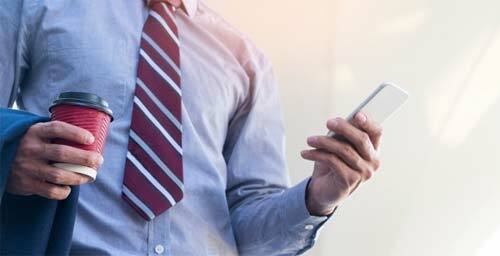 Consider cold email subject lines your first handshake or ice-breaker, and that’s why a compelling subject line is vital to your overall B2B email marketing strategy. Without a subject line that stands out in a cluttered inbox, you’ll miss out on significant opportunities for engagement (or re-engagement) with your leads, and might even lose subscribers. The truth is, all of the absolute best cold email subject lines have something in common. They speak to the user in a way that stands out against the noise of a busy inbox. Sparking the curiosity and interest of your buyer in a sales email takes a little creativity. To write a good subject line without sounding “spammy” or being too pushy can be a challenging task. A good subject line can be the difference between hitting your lead targets for the month and falling short. The most creative and compelling email content in the world has no chance of seeing daylight without a slam dunk subject line. In this post, we’ll share some powerful methods for getting emails opened. These tactics are based on our client’s experiences of sending emails to over 1 billion contacts using Clickback MAIL. This email subject can be as vague or specific as you want. For example, a subject line that says, “Questions About Working Together” will make the recipient want to open the email and find out what those questions are. This method appeals to our natural sense of curiosity. If you are working with a segmented audience with a specific buyer persona, you can get even more personal. One of the keys to a successful cold sales email is to make it about them. Write in a way that applies to your target audience only, that doesn’t apply to anyone else. Emails that are personal perform much better than ones that are pretty. Statistics show that plain text emails with a strong message outperform a beautifully designed HTML email in A/B tests because they look like a one-to-one message. This tactic is a great way to re-establish a connection with a lead that has gone cold. Subject lines such as “Moving Forward” or “Our Next Steps” will plant a seed of future action, and will remind the contact to think about how to proceed, and working with you, specifically. Show them that they haven’t fallen off your radar, even if you’ve fallen off theirs. You’d be surprised at how many follow up emails end up converting well after your initial contact point. People are busy, so give them a chance to reconnect with you when they have time. Nothing is more valuable than a personal recommendation. By naming a specific person or mutual acquaintance in your email subject line, you are giving yourself instant credibility and a great ice-breaker. Referred prospects have an impressive 50% close rate, so tap into this strategy by referencing a name that will get recognized. If you’ve got contacts on your email list that were introduced from someone they trust, make it clear in the subject line. This is a way to “borrow trust” from the referral and appear much less cold to your prospect. People love to be helpful or feel needed. Asking for advice in your email subject line is a great way to get someone to open your email and respond. Even something as simple as, “Are you the right person to ask?” will pique their interest (boost open rates), and has a good chance of motivating further engagement. Again, sending to a segmented list will help make the advice that much more personal and specific. Those that are passionate about their profession love to share their knowledge with others to solidify them as a thought leader, and create awareness for their brand. 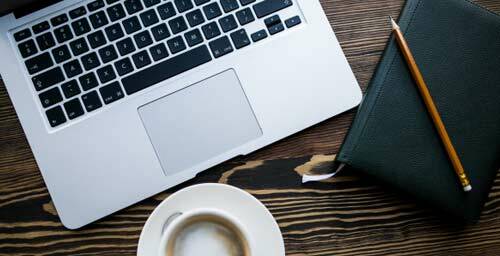 By starting your email subject line with a definite benefit for the recipient or their company, they will immediately open the email to learn more. For example, “A New, Money-Saving Strategy for Company A Inc.” or “Increased Profits for Company B Inc.” are great ways to start an email. This subject line strategy is especially effective with busy professionals that like to solve problems quickly. If you get this one right, the prospect can’t help but explore an option that can benefit their business and potentially increase their productivity. If you are not getting the type of engagement you expect, you should address the lack of response in an interesting, dynamic way. By acknowledging your failed attempts, the client may feel endeared to your plight and give you a chance. These email subject lines may require further personalization or context to be most effective. As they say “marketers ruin everything“, and this email tactic is no exception. To leverage this idea in 2018, be sure to put a personalized spin on that speaks to your reader. Another idea to consider is to draw attention to the improvements you’ve made in your product or service since your last contact with them. Use bullet points to highlight the biggest updates, and let your prospects know that you are always improving. Nothing is more effective than letting a client know you follow them and appreciate the work they are doing. By acknowledging their achievements and offering genuine congratulations, the organization will feel like you understand them and appreciate them in ways other competitors may not. By including the company name with a specific situation, you create a personalized message that is much more likely to get noticed. The positive nature of this angle can go a long way in terms of building a lasting relationship with your audience for future re-engagement. Asking someone to give you a few minutes of their time is often irresistible. Subject lines like “Can I Get 10 Minutes of Your Time?” or “15 Minutes on Friday?” appeals to potential clients because it’s non-invasive and intriguing. Including an exact amount of time has a way of conveying a more valuable piece of information to your prospect. It’s the specific nature of this tone that gives it an edge over a more vague subject line. Even better? If they’re in the area, suggest you meet them at their favorite coffee or lunch place. “Next Monday’s chai tea latte is on me!” will certainly stand out in an inbox full of sales-speak and meeting requests. Fear of missing out (or FOMO) is a very real thing. If your email subject suggests a sense of urgency, like “last chance” or “ends tomorrow” or even limitations like “only 10 tickets left!”, you can capitalize on a business owner’s emotional response to FOMO. This strategy plays off of the idea that there is something better available, and you’re missing out on it. This is an old marketing trick that can be easy to implement, as long as you know your audience. Make it crystal clear that your product or service is a way for them to take immediate action towards this anxiety. As an example, a web design company could mention how the issues on their prospects website are leaving a lot of potential leads on the table. By fixing the loading time issues on the site, they would benefit from a lot more organic traffic. Would you want to miss out on more website visitors? I didn’t think so! Subject lines that speak to real results are also more likely to be opened and read. For example, “This method worked for Business A Inc. Here’s how it can help you.” Make sure the businesses or research referenced is well known or relevant to the industry you’re targeting. By doing this, even if the lead doesn’t recognize YOUR company, they’ll still be inclined to find out exclusive information about their competitors and/or peers. It keeps your business in the conversation, and it can be a powerful tactic from a re-engagement standpoint. Use Clickback MAIL to craft and send professional emails to your cold email list. Our clients send over 100 Million emails per month. A cold email subject line should present immediate value to the reader. A prospecting email doesn’t carry the same weight as one coming from a personal contact, so it better stand out. 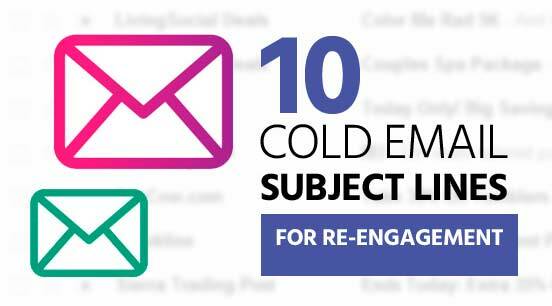 Using the 10 tips above should give your emails a better chance of getting opened by a cold contact. Start with a rockstar subject line, and follow up with valuable body content that offers a clear solution. You’ll know if your campaign is a hit with your contacts if your dormant contacts re-engage with you and follow up. Always monitor your drip campaign results to see how you can improve each area of your approach. Clickback MAIL will ensure that your email message gets delivered to your purchased list of contacts. Using email lead generation software, you can craft (and test) sales and marketing emails that will spark that all important first engagement or re-engagement. What will your first impression be? Make it count!